According to the latest figures from the INE, there was 85,348 property sales in November, 4% more than in the same month of 2017. Of those, 42,150 related to the sale/purchase of housing. 86.5% of those sales were for urban properties, with 13.5% being rustic. In the case of urban properties, 57.1% were for housing purchases. 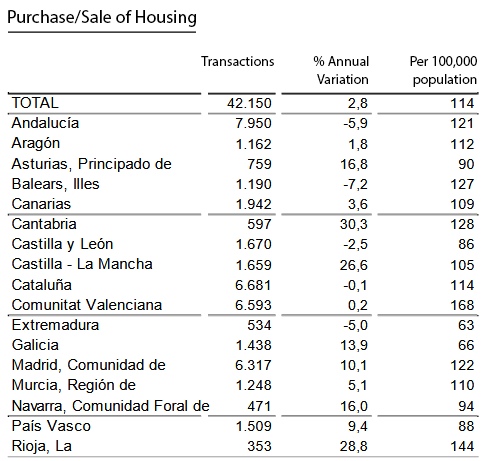 In terms of buying and selling homes in Spain, November saw an annual increase of 2.8%. However, compared to October, there was a monthly fall of -3.2% in housing sales. 19.1% of the homes sold in November were new properties, with 80.9% being second-hand. These figures represent an increase in new home sales of 7.9%, and an increase of 1.6% for second-hand housing, when compared to November 2017. When compared to October, new home sales saw a slight increase of 0.9%, while sales of second-hand housing saw a monthly fall of -4.1%. 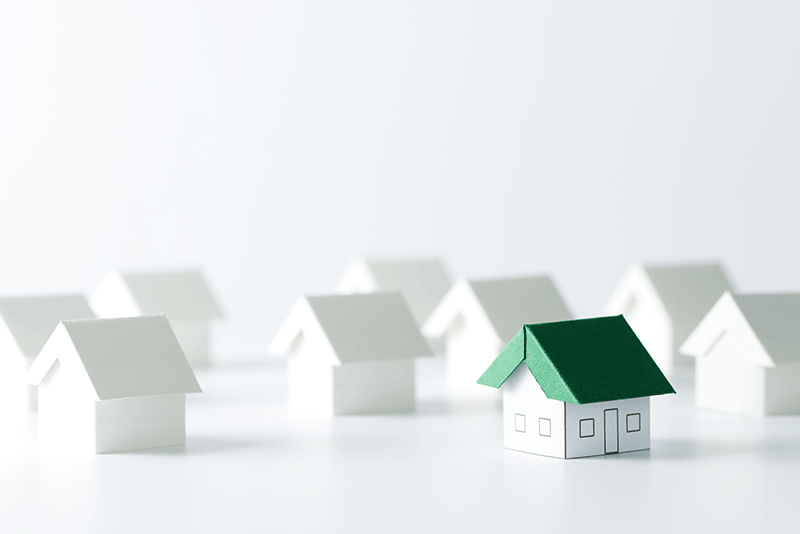 In November, the total number of property transfers registered per 100,000 inhabitants reached its highest values in La Rioja (723), Castilla y León (718) and Valencia (610). Madrid (21.7%), Cantabria (19.6%) and La Rioja (19.4%) saw the highest annual variation rates. The lowest annual variations were seen in Aragón (-11.7%), the Balearic Islands (-6.0%) and Extremadura (-4.4%). Looking only at sales of residential properties, the communities with the highest number of transactions per 100,000 inhabitants are Valencia (168), La Rioja (144) and Cantabria (128). In Andalucia, there were 7,950 sales/purchases, or 121 per 100,000 inhabitants. The communities with the highest annual increases in the number of home sales in November are Cantabria (30.3%), La Rioja (28.8%) and Castilla-La Mancha (26.6%). The Balearic Islands (-7.2%), Andalucía (-5.9%) and Extremadura (-5.0%) registered the lowest annual variation rates in November.